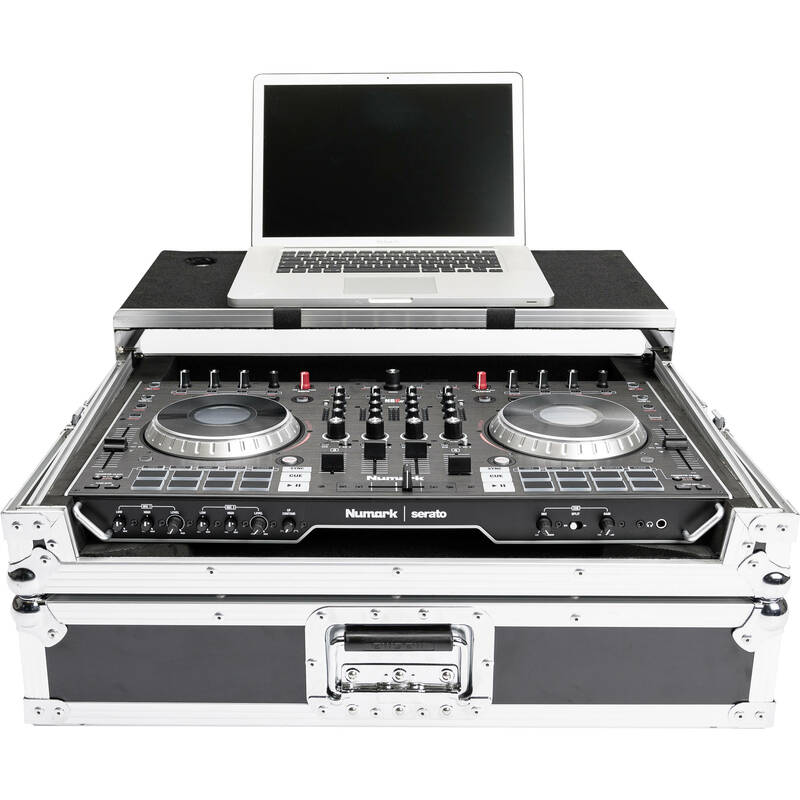 The black/silver Magma Bags DJ-Controller Workstation NS6II is a heavy-duty, 9mm vinyl-laminated plywood flight case with aluminum profiles, designed to offer protection when shipping, carrying, or storing your valuable Numark NS6II DJ controller. It features a padded interior, spring-loaded butterfly latches, a recessed handle, stackable ball corners, a detachable front cover/panel, and a removable gliding laptop platform. The case includes a convenient cable access port, and comes with two fixing straps that can hold a laptop in place (MacBooks and notebooks up to 1.2"-thick) during transport. Box Dimensions (LxWxH) 26.8 x 19.5 x 8.8"